It’s not only high-end business and heavy-duty applications that rely on the power of Industrial Solid State Drives (SSDs) these days. Besides powering most of our earthly communications and industry, Industrial SSDs are also pushing the frontiers of science beyond the limits of our atmosphere. They have become the storage medium of choice at the International Space Station, allowing reliable, high-volume data collection like never before. Data storage in space comes with its own set of special challenges. Not only does whatever storage medium used need to be compact, taking up a minimum amount of space, it also needs to be light; as every ounce in the journey to space counts. Limitations also demand that it should have low power consumption. Finally, any storage system used should have high reliability, and an extreme temperature operating range, the ability to function without gravity, and the ability to withstand a high dose of radiation and remain uncorrupted. 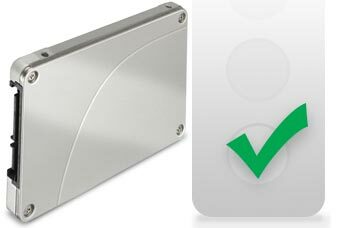 Industrial strength SSD systems are all good as far as most of those criteria go. Radiation alone is a potential problem area. Down here on earth, we’re protected from cosmic radiation by the ozone layer and our atmosphere. This covering is effective in shielding us from most debilitating radiation. Out there in space, they’re going (figuratively) naked. NAND flash memory tends to have a vulnerability to radiation; ionizing effects have the potential to do a number on the individual cells that hold the information bytes, resulting in voltage shifts and data corruption. But NASA scientists have discovered that while some memory chips fail dramatically under radiation pressures, others have the capacity to perform reliably. This means that high quality industrial SSDs can be used after a rigorous test-and-retest procedure in which the highest performers are selected. That’s why the International Space Station (ISS) now has the capacity to send a large volume of data and video images down to us here; shouldering past the old limits of knowledge and understanding in a way that’s never before been possible. And it’s only getting better. While the switch from older operating technologies to SSDs began several years ago, just last week astronaut Tom Kelly switched out the old-fashioned Columbus Video Cassette Recorders (VCRs) from the starboard end of the ISS and replaced them with new Solid State Drive recorders. As the transition to SSDs continues, we can expect to see a much larger volume of higher quality images and information beamed down to us directly from the outer frontiers of scientific exploration. When Samsung pushed the envelope and introduced their TLC-NAND flash memory for general use, it had the makings of a landmark innovation. TLC (triple-level cell) NAND is cheaper to manufacture than either SLC or MLC NAND, as it works by fitting more data into the same NAND cell—three bits per cell, rather than the one bit or two bits that single level (SLC) and multi-level (MLC) NAND can put away in one cell space. You’d think TLC NAND would take over the market in short order; no reason to waste resources manufacturing more expensive SLC or MLC NAND. When introduced the new TLC-NAND solid state drives seemed to have conquered all previous difficulties of TLC NAND with some state of the art firmware. Read speeds looked pretty; Samsung SSD 840’s 500MB/s is nothing to sneeze at and reliability was a non-issue. But, mounting excitement over the potentially cost-effective storage innovation waned as performance problems were discovered. In fact, it wasn’t long before users began reporting a new and extremely debilitating challenge. Those pretty read-speeds, that near 100% reliability: those only counted for new, freshly written data. Data that had been sitting on the drive for, say, all of eight weeks, would have deteriorated to a level that it could only be read at much slower speeds. Meaning, by the time you had data sitting static on your drive for six months or a year, those previously high read-speeds would have been reduced to processing at a snail’s pace. It turns out that this is a problem inherent in the TLC system. Although there’s a voltage drift that happens in every NAND drive over time, in SLC and MLC NAND, this drift is small, consistent, and can be accounted for in the reading algorithms. When you lock three data bits in a cell, though, data deterioration speeds up immensely. What’s worse, there’s no longer a generalized algorithm that can take all the shifting into account, so the old data is simply blurred. Samsung has introduced two firmware updates in an attempt to smooth over the problem. The first, a fancy algorithm that was meant to take account of the voltage drift and factor it in where necessary, completely failed at solving the issue. The second, while more successful, offers a somewhat unpleasant workaround: The drive is set to rewrite all data regularly, so nothing ever is old. It does manage to get around the problem: if all data is new data, it will all be readable and quickly accessible. However, since every NAND SSD has a finite number of writes or rewrites, this isn’t an ideal fix. Simply that TLC NAND is not the future of data storage, and it doesn’t even have a good seating in the present. If your data matters in the long term, you’ll want to go with a higher-quality NAND: MLC-NAND for your basic SSD needs, or SLC-NAND for industrial use or super-sensitive data storage. There’s no other way about it. Cinematographers and filmmakers love our Professional video SSD drives. After much discussion on the how and why we developed a series of SSD drives focused on video capture, primarily aiming towards certification for Blackmagic recording hardware, we have found the top 5 things that get cinematographers excited about our drives. 1. It’s the first and only SSD series made exclusively for video capture. DIGISTOR set out to build the SSD line up specifically focusing on video capture rather than designing an SSD for computer use. Where other brands build SSDs for a wide variety of computers, we focus on what works well with your video recording hardware. From the locked bill of materials and firmware, to the NAND flash, controller, and even the physical size of our SSDs, our Professional Video Series was built from the ground up to meet the unique needs of professional filmmakers. 2. Our Professional Video Series SSDs are sized for a snug fit. Your Blackmagic Camera has a 9.5mm size slot — shouldn’t your SSD be designed to sit securely inside? While the industry continues to move towards more compact drives, the Professional Video Series remains a standard 9.5mm to avoid shaking, rattling, flexing your connector and possibly dropping frames. 3. Our locked BOM ensures long-term compatibility with Blackmagic. Once approved by Blackmagic, we lock our bill of materials — both physical and firmware. Before any changes are made, our SSDs are again extensively tested for re-certification by Blackmagic. For our customers, that means every DIGISTOR drive that has been listed as Blackmagic compatible will remain so, regardless of movements in the market for new NAND or updated controllers. 4. Your workflow, made more efficient by editing straight from the disk. 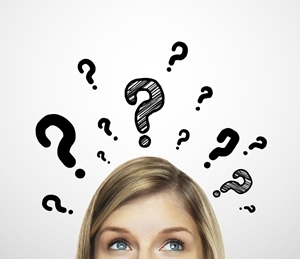 Stuck on site or don’t have the time to transfer your footage to local storage? 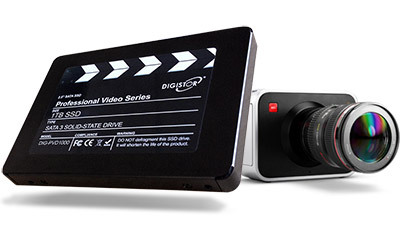 Made to go directly from your Blackmagic recording hardware into the HyperDeck Studio, Blackmagic MultiDock, or connect with a Thunderbolt adapter, our powerful SSDs allow you to smoothly transition from shooting to on-site editing. 5. Our Professional Video Series comes ready to shoot. Unlike off-the-shelf SSDs that require formatting before use, our Professional Video Series SSDs are made to support recording hardware right out of the box. Compatible with exFAT and already formatted, you can go straight to shooting. Fans of the Star Wars series are no doubt excited by the recently released teaser trailer for next year’s blockbuster ‘Star Wars: The Force Awakens.’ Yet, white-knuckling through a year wait is nothing compared to the nearly three decades that die-hard fans have anticipated ‘Black Angel,’ Lucas’s famed long-lost short that briefly saw silver screen action in 1980. A long time ago, in a galaxy far, far away, George Lucas commissioned ‘Black Angel’ to be paired with ‘The Empire Strikes Back’ in theaters. The 25-minute fantasy epic was the directorial debut of Star Wars‘ pioneering set decorator Roger Christian. After it screened in cinemas, it suddenly vanished. For years, no copies could be located. The film only existed as a rumored relic in fanboy conversations. Well, until recently. Christian says that he had an original negative and print copy of the film, which he kept at London’s Boss Film Studios. But the studio went bankrupt in the 1990s while Christian was out of town on a shoot, and ended up tossing out his belongings. When he began writing his upcoming tell-all book Cinema Alchemist, Christian inquired with Fox to see if they had any copies left. He learned that all of them had been thrown out as well after the film elements’ storage facility, the former UK studio Rank, had shut down in the same decade. The Lucasfilm Archives couldn’t locate their copy either. Christian assumed the original elements of the film were lost forever. His seamless blending of digital footage with that captured on film was so successful that Lucas went on to film its sequels completely in digital format, ensuring no other films were lost. However, the archiving technology that could have prevented ‘Black Angel’ from disappearing hadn’t been developed yet. How Black Angel got lost and then found is still unknown, but its journey is a clear case for shooting digital and careful archiving are necessary to protect your own footage. To ensure your own films don’t make fans wait as long as ‘Black Angel,’ DIGISTOR offers Professional Video SSD drives, which have up to 480GB of capacity for the most reliable way to capture uncompressed video. Recording digitally also makes easy access to multiple reliable storage drives essential to capture and early archiving stages of footage. For video crews that use multiple cameras on each shoot, DIGISTOR offer multi-packs of SSDs to handle the even larger amounts of footage.